With the eternal beauty embodied in terracotta pink, the royal city of Rajasthan, Jaipur is slowly emerging as couple’s favourite destination to enter into a wedlock! Bedecked with magnificent forts and sumptuous palaces, Jaipur is just the spot you've been looking for to host a regal and royal wedding in Rajasthan! The city offers multiple venues which can make your dream destination wedding look like reality! But our literal favourite is The Chomu Palace. The former Chomugarh Fort was built by the descendants of the King Prithvi Raj Chauhan and has now been restored into this marvellous palace hotel. Thanks to its old world charm and royal appeal, the couples seeking for a palace wedding in Jaipur can finally start planning for their big day. This grand palace has multiple venues to offer where one can host all their nuptial events, from cocktail parties to gala reception dinners; all in luxury and splendour. Bedecked with intricate and ancient architecture and blended with the right amount of urbanity, the staggering palace is equipped with all sorts of modern amenities and comfort. 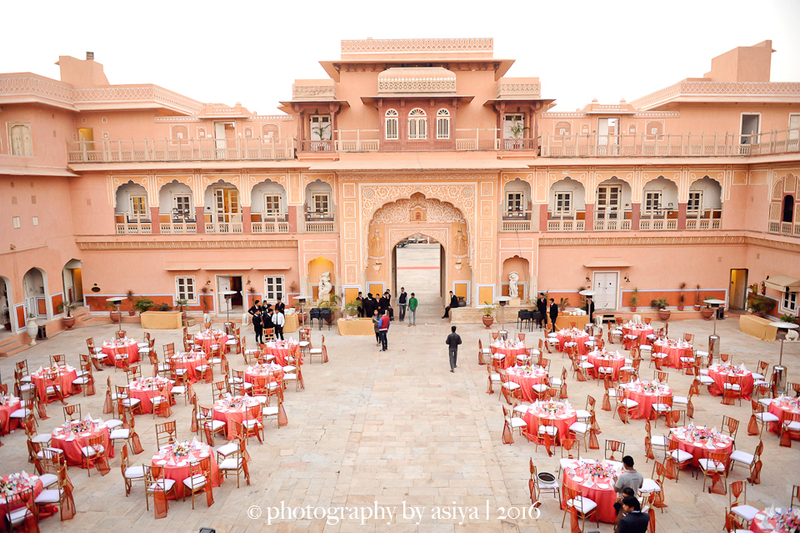 A destination wedding in Jaipur’s Chomu Palace is nothing less than an unforgettable royal affair, but before getting lost in its aristocratic charm, one must also follow the below-mentioned stats. Accommodation: Equipped with all the required amenities and top-notch opulence, the palace offers 58 resplendent suites with 10,000 - 15,000 INR per night. Food: The imposing Chomu Palace offers a spectrum of mouth watering delicacies with unimpeachable flavours! 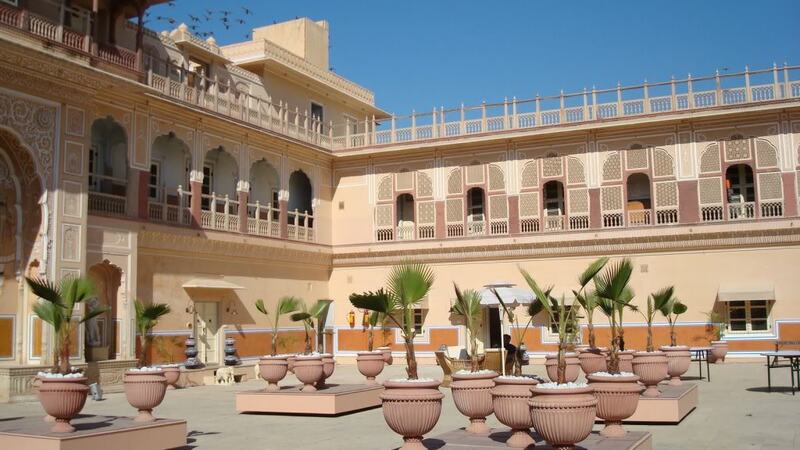 So if you’re deciding upon tying the knot in the golden sands of Rajasthan in the boundaries of the transcendent Chomu Palace, with an approximate guest count of 200, be ready to shed some weight off your pocket. Apart from this, there are various other nuptial requirements you need to take care of which may add up to your overall budget. 1. 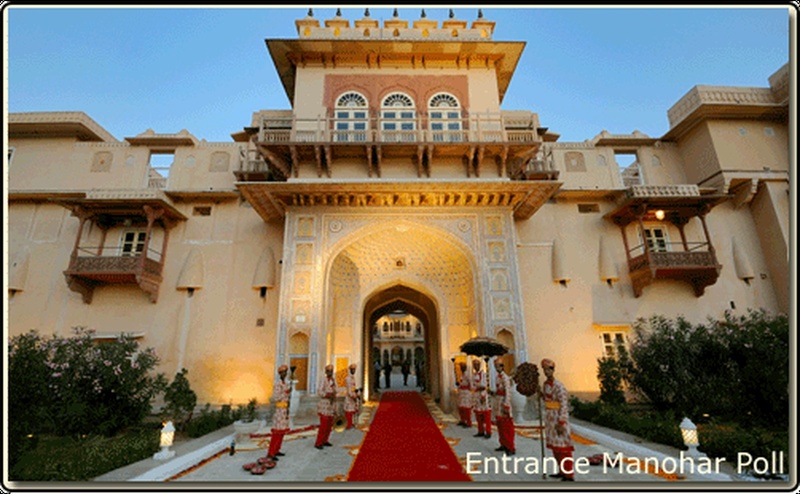 Mandap: Set up your extravagant mandap in the royal boundaries of The Chomugarh Palace. 2. Table & Chairs: It’s important to have a correct count of your guests to avoid any shortage of seating arrangements. 3. Aisle: The Palace with its splendid architecture and mesmerizing venues give you a chance to have a dream aisle to make your walk perpetual in your memory. 4. Centre pieces : establish eye catching centerpieces to make your wedding night an enduring affair for the guests. 5. Stage: Set up a stage depending on the theme of your event. 6. Lighting: The Amber Glow will make the palace as scintillating as ever. 8. Floral Decor: Beautiful flowers like marigold and lilies are multi-purpose for decor as well as for rituals. Photography: Pick up the best wedding photographers from the Pink City to capture your beautiful moments. Transportation & Logistics: Have a transportation team on the go in case of any last minute jitters. Sound & DJ: Make proper arrangements of sound and DJ to make your wedding a melodious affair. MakeUp And Mehndi Artists: Its advisable to pre-book your mehndi and makeup artists to avoid any last minute miscommunications. Folk Dance: Give your guests an evening to remember by arranging an entertaining performance by the local groups.